Our Philosophy: Provide professional studio and event digital photography and videography at an affordable price so everyone can relive and share your captured moments for generations. 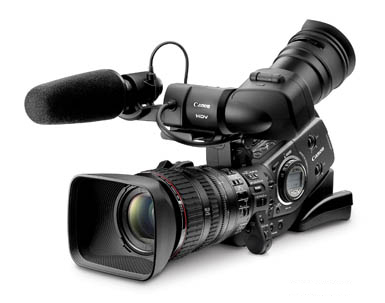 Equipment and Experience: To provide the best professional quality videography, DVD / BD authoring and photographic images we start with the highest quality professional equipment and technology available today and then apply our over 40 years of experience in still and motion image recording and processing. Dependability: We recognize how critical reliability is to successful capture and preservation of events and special moments. We take nothing for granted. To ensure reliability, our operation is built on redundancy, including backup cameras, dual video capture to Flash Card and direct-to-computer hard drive, with independent hard drive data backup on our 30 Terabyte storage capacity. Distributed Media: We use the very best blank DVD/BD media available (Taiyo Yuden and Verbatim) to provide the highest DVD/BD Player compatibility and longest archival life for years of dependable viewing enjoyment. We then deliver our DVD/BDs in the best 'professional' full size cases for secure mailing and great looks and performance. Photos are printed on Professional Portrait Luster RC paper using Ultra Chrome pigment inks with 70 year light fast longevity.